This entry was posted in CRM, Safety by robertgooch. Bookmark the permalink. In the spirit of FOAMed, will the other CLs/action cards be availabel for download and sharing outside of the Auckland HEMs community and app? I am probably idealistic, but see the benefit of these not just for individual sevices, but for sharing between other agencies who care for the same patient – whether the small rural clinician who is sending a patient, or for the receiving ED. good stuff Robert! I wish you and the service well in this endeavour. 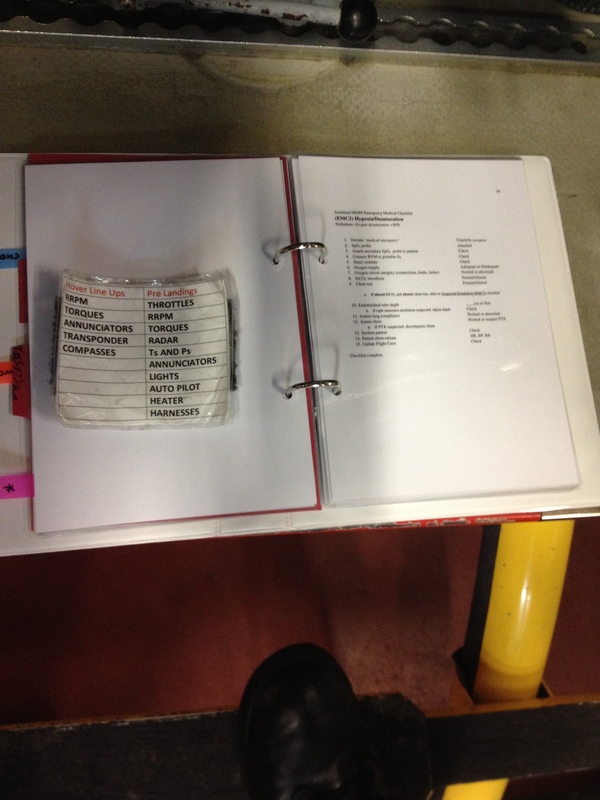 In my service we have just implemented a prehosp RSI checklist. I suspect it will not make a significant difference when I examine our performance data but I am willing to be proved wrong! The issue with prehosp checklists for doctors is that if you are not performing at a high level of success already then its uncertain if a checklist alone is going to make a difference. The key is the training as you point out. If the CL allows you to train better, then that must be good , regardless of anything else. There is this oft purported benefit of prehospital checklists improving team work. This maybe true but here is the paradox. Humans are social creatures and can work in small groups, but perform best when there is a good team leader in charge. A checklist is not a surrogate team leader. We tried to propose a ventilated patient checklist a while ago and our nurses basically opposed it , saying if the retrieval doctor needs a checklist then they did not think that instills a lot of confidence in the team. They said from their viewpoint they rather have a doctor who knows what they are doing than knowing how to use a checklist. A bit unfair but so is human nature. Just one thing about using aviation comparison with medicine. Whilst this is oft touted, i think this really needs to be challenged. Patients are not aircraft and doctors are not pilots. Pilots are legally mandated to utilise checklists..its even programmed into their electronic flight computers! anyway all the best with your project! “We tried to propose a ventilated patient checklist a while ago and our nurses basically opposed it , saying if the retrieval doctor needs a checklist then they did not think that instills a lot of confidence in the team. They said from their viewpoint they rather have a doctor who knows what they are doing than knowing how to use a checklist. How about a doctor that knows what they are doing AND knows how to use a checklist? To me this anecdote highlights cultural inertia in medicine, i.e. the perception that cognitive aids like checklists are a sign of weakness (lack of knowledge/skill/leadership etc). I believe this perception needs to change – checklists are simply another tool in a clinician’s toolkit, and it is up to each individual/service/department to decide whether/how/when a checklist would be helpful. If there is one thing that aviation has taught us, it is that the human brain is fallible, and that even “experts” make significant errors and omissions, especially in times of crisis. A checklist is simply one of many ways of preventing error. KIdocs – the app will be live on the app store soon – watch this space! 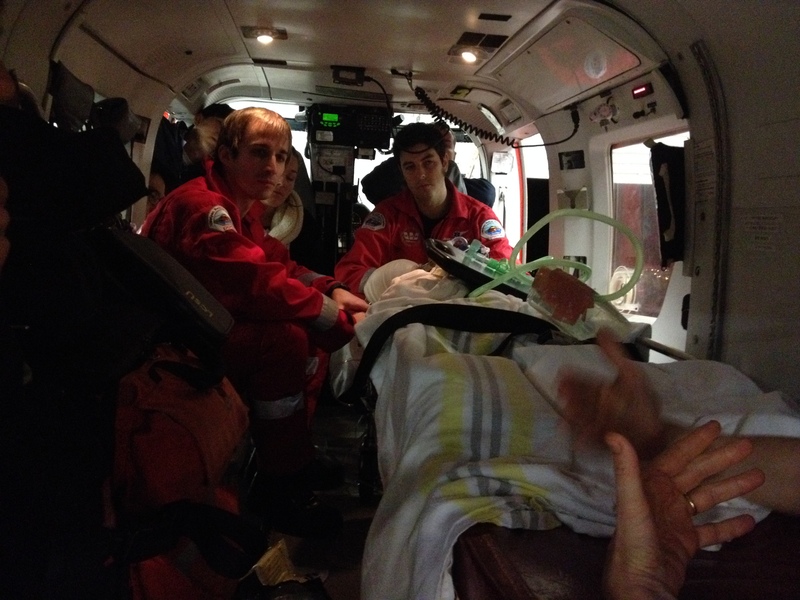 Many thanks for making time to engage with Auckland HEMS on this patient safety initiative. 1. Above is a source of inspiration for our service. Dr. Gawande and his cadre are at the vanguard of patient safety. Innovation is one element of success; implementation is another core element. This article emphasizes the importance of end-users ‘the sharp end’ being involved throughout the checklist development process. We are fortunate to have input into this checklist from our pilots, crewmen, paramedics and doctors. Even our CEO (who is also a pilot) have shared their experiences.